Best known for their early-'80s new wave pop hits, particularly "I Got You," Split Enz -- after surviving a dizzying array of image and personnel changes and a full decade without any recognition outside of their homeland -- became the first New Zealand band to achieve worldwide success. Although they never reached superstar status outside of Australia and New Zealand, the band developed a strong international cult following that continued to thrive over a decade after their breakup. Split Enz's output always seemed slightly outside of the times and often frustratingly obscure, but in the end, they left behind a body of work that was always interesting and often reached pure pop brilliance. The group was founded in 1972 in Auckland, New Zealand, by Brian Timothy Finn and Phil Judd. Initially, the band was a light acoustic combo called Split Ends consisting of Judd (guitar, vocals), Finn (vocals, piano), Miles Golding (violin), Mike Howard (flute), and Mike Chunn (bass). Finn and Judd were the main songwriting force of the band's early years. Judd drew his inspiration from a wild variety of often non-musical sources while Finn's tastes leaned toward the British pop of the Beatles, the Kinks, and the Move. In a creative rush that lasted several months, the two bashed out songs on acoustic guitars -- Judd working out the basic song with lyrics and Finn providing the melodies. 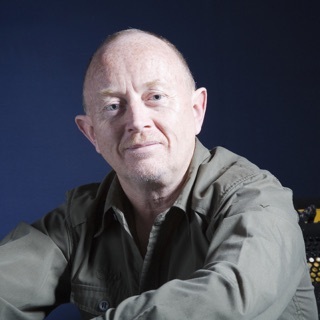 Miles Golding came from a classical background and pushed the band into complex, neo-classical structures and arrangements. The result was an eclectic mix of styles that was quite original though not very commercial. After months of rehearsals, the group went into the studio to record their first single, "For You"/"Split Ends," in February of 1973. After the single was released, the band launched a small tour; upon its completion, Golding left the group to study in London. At Chunn's urging, the band went for a new, electric sound, adding Geoff Chunn on drums, Wally Wilkinson on guitar, and saxophonist Rob Gillies, who was only a part-time member. After the new lineup was in place, Judd refused to tour, claiming their music was too complex for stage presentation; he stayed behind to write and record new material while the rest of the band toured, although he would later rejoin the live lineup. The group made an appearance on the televised New Zealand talent contest New Faces -- though they finished second to last, it gave them some crucial early exposure. In 1974, former Space Waltz keyboardist Tony (Eddie) Rayner was added to the band and they changed their name to Split Enz. Following the name change, the group embarked on a series of radio-sponsored "Buck-a-Head" shows -- rather than play the more traditional pub circuit, they played theaters, which seemed more suited to the band's style. The group's shows took on a theatrical tone, as the bandmembers wore wild, colorful costumes and sported a variety of odd hairdos. Finn acted as master of ceremonies, giving odd spoken soliloquies. Judd made the occasional appearances as did costume designer and spoons soloist Noel Crombie. By the fall of 1974, Crombie was added as a full-time member on percussion. Before the tour was completed, Geoff Chunn was replaced by Paul Crowther and Rob Gillies left the group. In March of 1975, the group traveled to Australia -- at this time, all members except Judd switched to using their middle names. Mistakenly billed as "New Zealand's raunchiest rock & roll band," the band struggled for nine months but they eventually earned a small cult following and secured a contract with Mushroom Records. Their debut album, Mental Notes, was recorded in two weeks. While their inexperience in the studio combined with an unsympathetic producer led to a less than satisfying result in the band's eyes, the album encapsulated the band at its artiest and most ambitious. The album made a brief appearance on both the Australian and New Zealand charts. By November of 1975 Wilkinson was fired and Gillies rejoined. 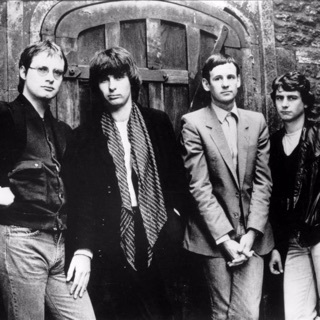 Split Enz had caught the attention of Roxy Music's Phil Manzanera, who offered to help the band with their next album; they arranged to meet him in England to redo Mental Notes. Before leaving, they recorded a new single, "Late Last Night." Despite the complex song structure, the single showed the band moving toward a pop direction; nevertheless, it failed to have much impact. "Late Last Night" was accompanied by a video clip, which was an uncommon practice in 1976; the band would continue to make conceptual clips from that point on. In April of 1976, Split Enz joined up with Manzanera in England and signed to Chrysalis for worldwide distribution. While the recordings went well, they found it impossible to secure live work in Britain without an agent. The band rehearsed constantly, although the songwriting partnership of Judd and Finn had dried up and no new songs were being written. Second Thoughts, essentially a reworked Mental Notes, was released toward the end of 1976 (it was released internationally as Mental Notes). Before the band supported the album with a U.S. tour in early 1977, Crowther was replaced on drums by Mal Green. Judd, fed up with uninterested audiences and the demands of promotion, left the band during the tour and Chunn left two months later. The band returned to England to regroup -- they replaced Judd with Tim's younger brother Neil and recruited bassist Nigel Griggs. Tim Finn assumed leadership of the new incarnation of Split Enz and the group began to move away from its arty, theatrical tendencies on their next LP, 1977's Dizrhythmia. In Australia, the album went gold and the single "My Mistake" became their first Top 20 hit. In England, the group fared far worse. In the wake of the punk explosion, Split Enz seemed slightly out of touch. Though their odd looks and new, leaner material wasn't so far removed from post-punk styles, their earlier reputation seemed more in line with the progressive rock the punks sought to destroy. However, they did manage to keep a small cult following within the U.K.
By early 1978, Split Enz had been dropped by Chrysalis and, unable to get gigs, they were forced to go on the dole. They continued writing new material at a feverish pace and rehearsing constantly. Gillies was fired and Judd rejoined but he found himself unable to fit into the new direction of the band and left the group shortly thereafter; he later found limited success as the leader of the Swingers and as a solo artist. The New Zealand Arts Council came to the band's aid with a 5,000-dollar grant. A studio in Luton was booked and the band knocked off 28 songs in under five days. These sessions, known as the "Rootin' Tootin' Luton Tapes," displayed a newfound edge and considerable commercial potential. Around the same time, they recorded a new single with producer David Tickle -- a straight-ahead rocker called "I See Red" -- which charted respectably in Australia. Split Enz returned to Australia to make their next album, 1978's Frenzy, re-recording many songs from the Luton tapes. However, the final product paled in comparison to the demos -- the high energy of the original tapes simply wasn't captured and many of the best songs were left on the demos. Many of the Luton recordings would later resurface on the A&M version of Frenzy, released in North America in 1981. The band teamed up again with David Tickle for their next album, True Colours, in 1979. The album lacked the excesses of their previous albums and showcased their new pure pop direction. 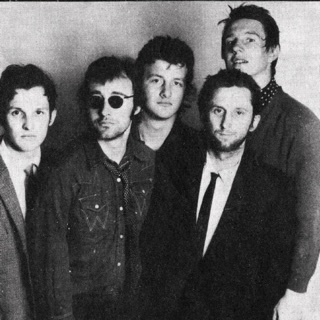 With Neil Finn's seductive "I Got You," the band finally broke through -- the single and album hit number one in Australia and New Zealand, with the album eventually selling 200,000 albums in Australia, the equivalent of one in every ten homes in that country. The success led to an international deal with A&M Records. True Colours performed well in the U.K. and the U.S. and went platinum in Canada. The band quickly recorded a follow-up during a mid-year break in touring. The result -- called Corroboree in Australia and Waiata internationally -- was released in April of 1981. The record was somewhat disappointing, seeming to follow the same formula as its predecessor but with decidedly lesser material. The album failed to match the success of True Colours, but it did manage two hit singles, "One Step Ahead" and "History Never Repeats." On their subsequent North American tour, Split Enz were billed equally with Tom Petty & the Heartbreakers, which stands as a testament to the band's growing popularity. Mal Green left the band to work on solo projects and Crombie took over on drums. By late 1981, after many months of intensive touring, the band retreated to the studio to record their most personal and creatively satisfying album to date, Time and Tide. Released in 1982, it immediately topped the Australian and New Zealand charts. The advent of MTV and the channel's commitment to new wave acts helped the band's growing cult status in America -- both "Dirty Creature" and "Six Months in a Leaky Boat" (as well as earlier videos) saw heavy airplay on the channel -- but the album failed to see much chart action. Early in 1983, Tim took a break from Split Enz to work on a solo album, Escapade. The album was a big success in Australasia, spawning several hits singles including the Top Ten "Fraction Too Much Friction." For all of its success, though, the album distracted Tim, delaying the follow-up to Time and Tide and effectively ending the momentum Split Enz had built over the previous three albums. Conflicting Emotions was finally finished by the fall of 1983. Prior to this album, Tim had been the primary contributor, but for this effort, he was overshadowed by brother Neil who had written a considerable majority of songs for the first time. The album, while predictably successful in Australia/New Zealand, saw a delayed release in the States and failed to make much impact. A new drummer, Paul Hester, was added, demoting Crombie to percussion. Before work was begun on the next album, Tim announced that he was leaving the band. With Neil Finn as the leader, the band carried on for one more album -- 1984's See Ya Round, an uneven album that was released only in Australia, New Zealand, and Canada. Neil decided to fold the band following a farewell tour, Enz with a Bang!, for which Tim rejoined the group.